These are 3-color 8" cement tiles, using colors from the South Beach Palette. 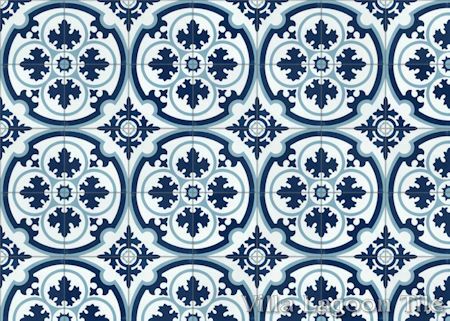 This traditional pattern we call "Danielle" is an elegant blend of geometry and floral motifs. 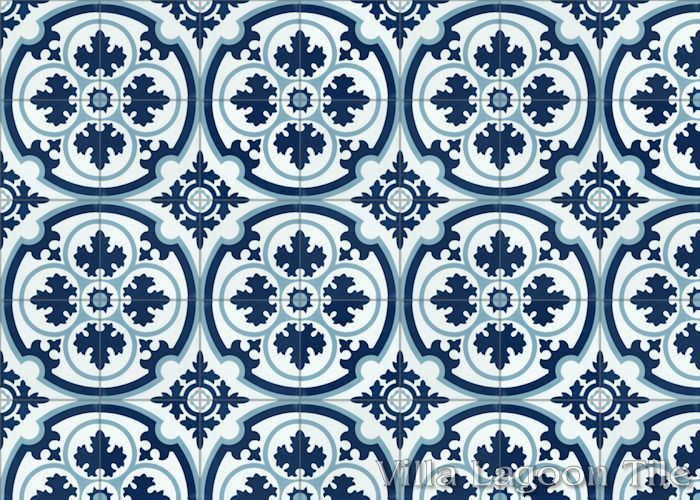 Adjacent circles stack to create rounded stars in the negative space. 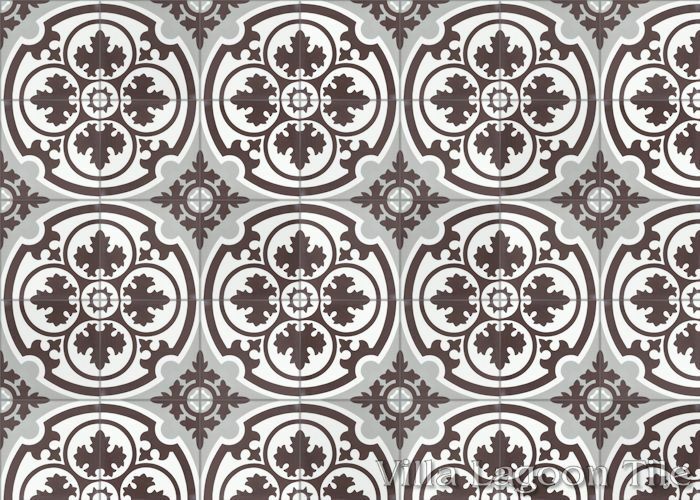 Circles within circles are adorned with leafy foliage. 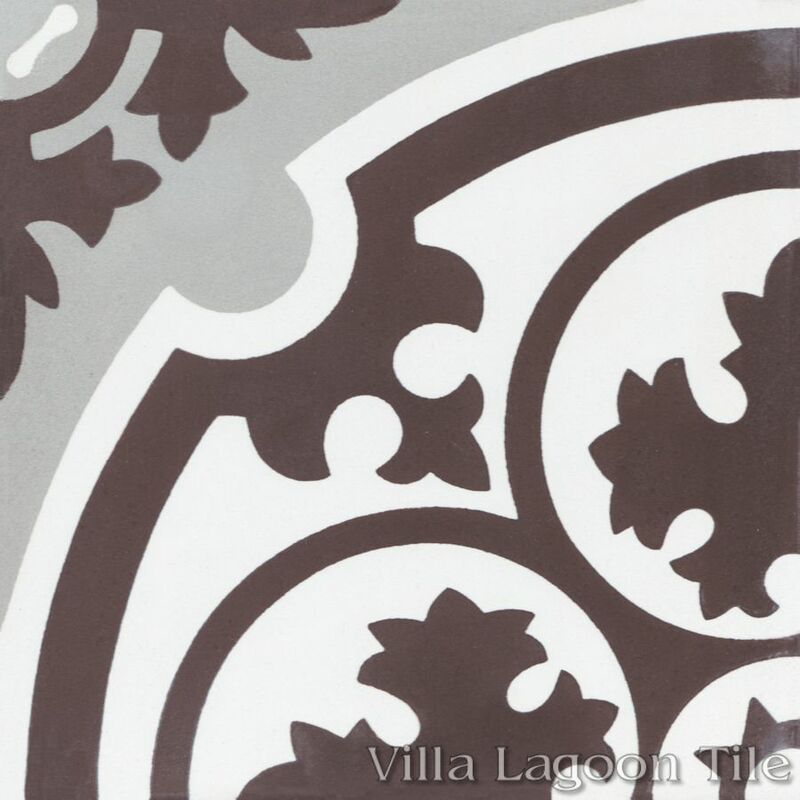 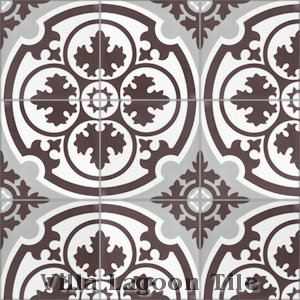 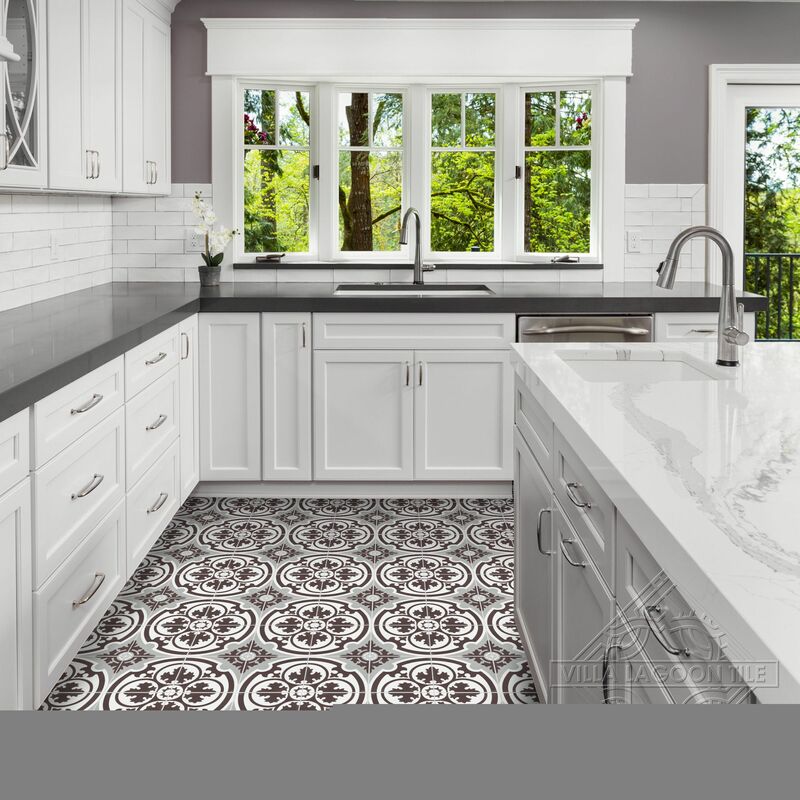 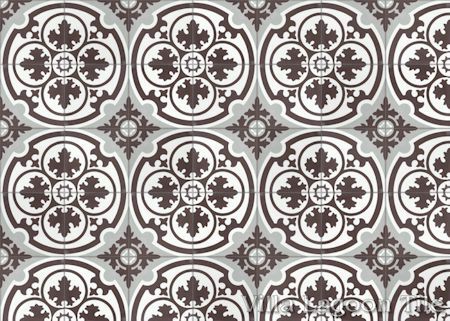 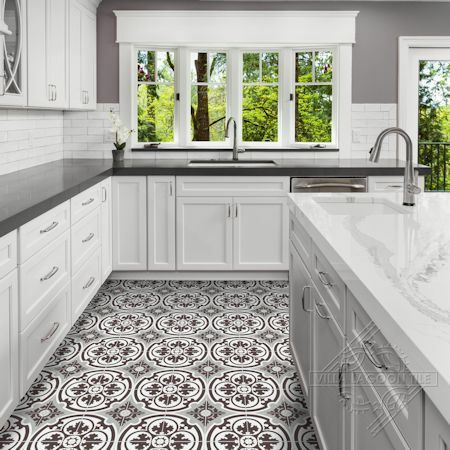 Villa Lagoon Tile's "Danielle" cement tile pattern using Espresso, Urban Gray, and White from the South Beach Palette. 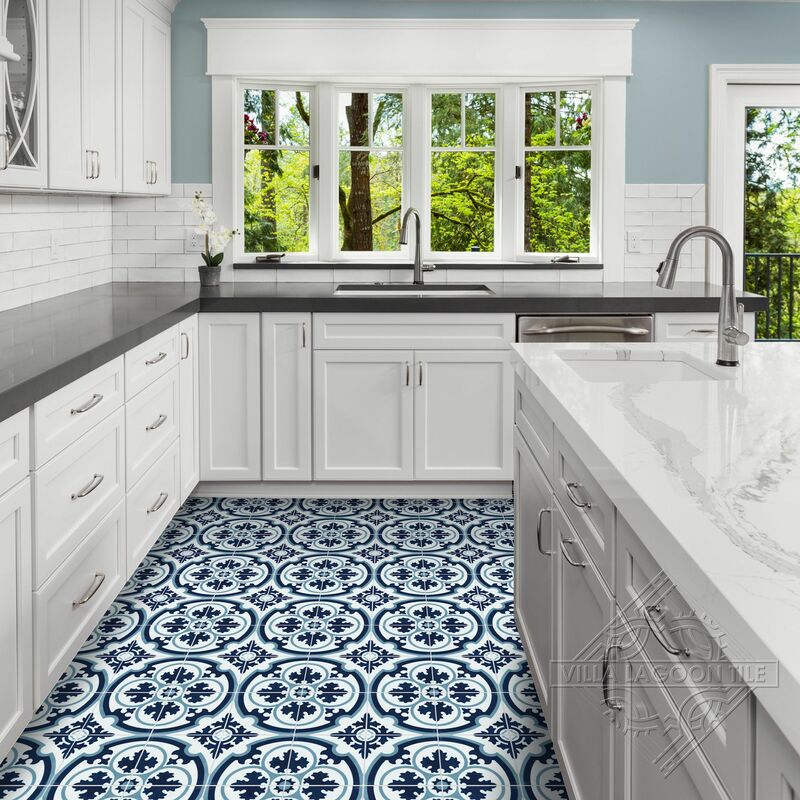 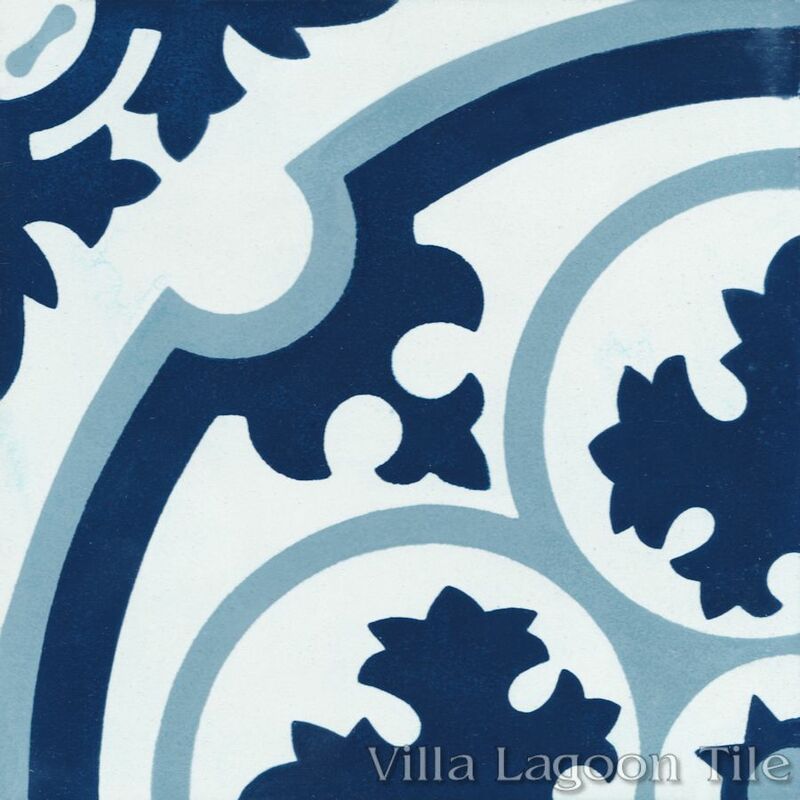 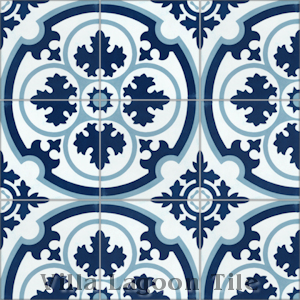 Villa Lagoon Tile's "Danielle" cement tile pattern using Stone Blue, Navy and White from the South Beach Palette.